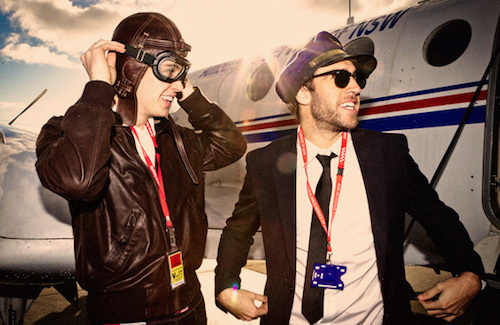 Four years ago, Australian producer duo Flight Facilities took the world by storm with their timeless debut single “Crave You”, featuring Giselle’s effortlessly sultry vocals. Building on their first success, Hugo Gruzman and James Lyell spent the next few years dropping hit single after hit single (“Foreign Language”, “With You”, “Clair de Lune”, “Two Bodies”) and touring around the world. To say the duo’s debut album was highly anticipated would be a gross understatement and now that it’s finally here it doesn’t disappoint in the least. Down To Earth is a perfectly balanced mix of familiar favorites interlocked with brand new tracks and a few instrumental jams thrown in for good measure. Bridging the gap between electro and pop, the record feels like a smooth well-structured journey, from the breathy chill of “Two Bodies” and pulsing beats of “Heart Attack” to the funky vibe of “Sunshine” and the love-struck retro house of “Apollo”. Down To Earth features an all-star cast of talented female vocalists including Micky Green, Emma Louise, Christine Hoberg, Elizabeth Rose, Owl Eyes and Giselle Rosselli, as well as a few male voices: Reggie Watts, Stee Downes and teen US rapper Bishop Nehru.